Dressed as Margaret Mitchell, your costumed guide greets you on board your luxury coach. Over the course of three hours, your guide stays in character as she takes you to see Atlanta's role in Gone with the Wind. Relax as you travel through Atlanta to trace Margaret Mitchell’s time in the city, learning stories about her life and work. 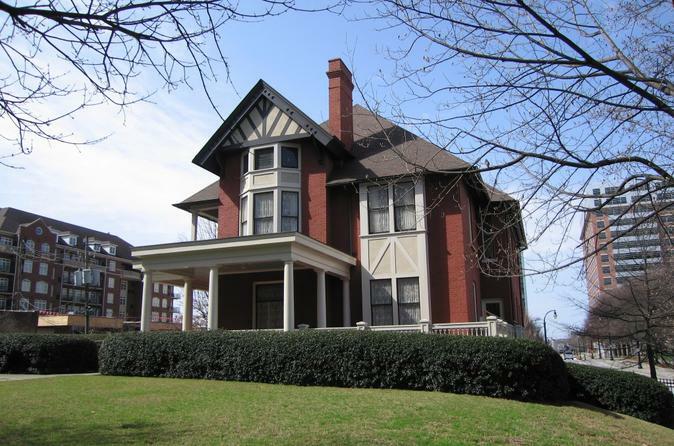 Visit the Margaret Mitchell House for a guided tour of the apartment where Mitchell wrote Gone with the Wind. Check out exhibitions that cover Mitchell’s journalism career at the Atlanta Journal, and how her life changed with the popularity of the book and film. Another exhibit details the book’s transformation from best seller to classic film. Next, drive over to the Atlanta Public Library where you can examine a special collection of her belongings. See Mitchell’s Remington typewriter used to write the novel, first drafts of the book, and her Pulitzer Prize. After, check out an original bound script of the movie and autographs from the film’s famous cast. On the road, your guide points out point of interest such as where the film’s cast stayed for the 1939 premiere. Your last stop takes you into Atlanta’s beautiful and historic Oakland Cemetery, where Mitchell is buried. Founded in 1850, the cemetery is now listed on the National Register of Historic Places. After an entertaining three hours, your tour ends back at the starting point.